vuex is state management pattern. This idea is from flux. 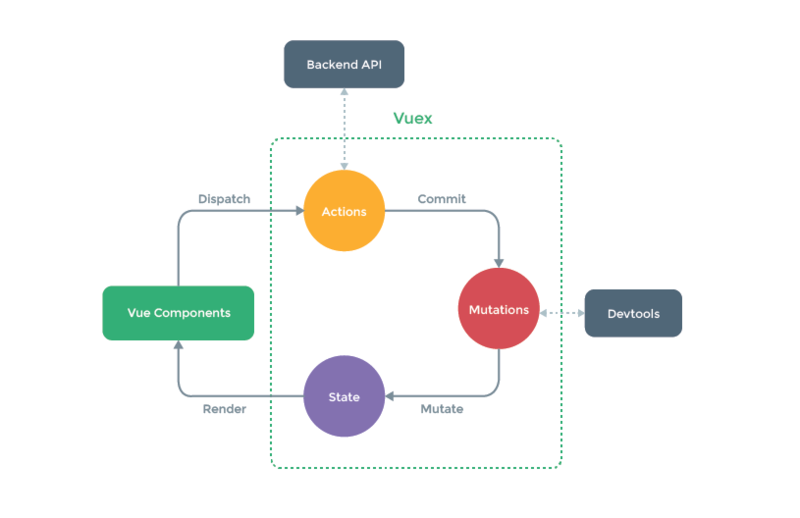 vuex supports flux idea like redux. Application contains Action, State, View. Action effects State, State updates View, View effects Action. This is circle. This is super simple sample(not for production). To create this sample, I use vue-cli and vue-router. In this sample, I prepared textbox and button and space to show textbox value. Press button and show value on space. this value and space value managed by vuex store. And Page includes FieldInput and MsgDiv component inside.